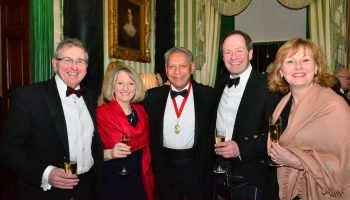 Booking for the annual dinner on 23 February 2019 has closed. We’re delighted to be returning to the Royal College of Physicians and Surgeons of Glasgow on 234-242 St Vincent Street where we’ll gather in magnificent surroundings for an evening of fine dining. All proceeds from the raffle will go to the Prince and Princess of Wales Hospice. We are delighted to announce that the dinner will be sponsored by IWT Dental. Find out more about what IWT offer here. © 2015-2018 Glasgow Odonto. All Rights Reserved.